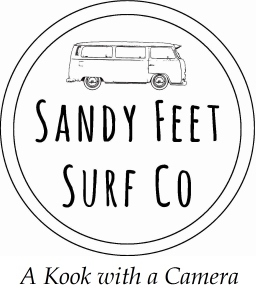 Sandy Feet Surf Co.: Sneaky Ones. The Nor-Easter was up early today, leaving Lighthouse as the only real option. It was a bit untidy, and the wind and clouds wasn't making a surf very inviting. For those that went to the trouble of paddling out though, there were some good waves amongst the junk. Kingy about to muscle his way through the backdoor. Mitch making something from nothing. Rob starting the day the right way.